Two years ago, I bought a beautiful glass bowl on the Isle of Wight, something with no function or purpose, a thing I bought simply because it filled my eye. Today I unwrapped it from its tissue paper for the first time. Placing it gently on the mantelpiece, I experienced a fleeting moment of fear, one which didn’t seem to be entirely about the danger of the thing smashing. When I was a child, my family lost everything – twice. Okay, we didn’t lose everything (as my mother kept saying, ‘we have each other, and that’s all that matters’), we just lost all our stuff. The first time wasn’t so bad. We had moved from Kenya to Pakistan and then not long afterwards on to Iran, and the crate of possessions that was meant to follow us somehow got lost. I was six when our stuff went into the crate, eight when we finally accepted it was gone for ever, and I had forgotten most of what was in there. But for many years afterwards, my parents would recall this or that missing trinket, book or item of furniture with a pained sigh, and the ‘Kenya crate’ took on almost mythical proportions as a repository of dreams and treasures. The second time was worse. I was nine, the revolution in Iran had taken a nasty turn and the Embassy had advised us to leave as soon as possible. I was allowed to pack only what would fit in my British Airways flight bag – everything else must be left behind. But don’t worry, my parents said, the trouble will be over soon and then we’ll come back. And if not, well, at least we have each other, and that’s all that matters. I packed my best toy, the wooden camel wrapped in stinking, untreated sheepskin which my father had brought me from Isfahan, and because my junior microscope fitted perfectly between its legs I brought that too. Nothing else would fit in the bag, but that was fine – there wasn’t anything else I cared enough about to ditch the camel. Besides, we had each other, etc. But we didn’t, as it turned out. I don’t remember when it dawned on me that Charlie wasn’t coming with us. I only remember how he scrambled to his feet when we rose to leave, and that my father told him no, he had to STAY. We left him with Iranian friends, but we lost touch with them very quickly in the aftermath of the revolution, and we never heard how things turned out. I know now that dogs are considered unclean in Islam, and all but forbidden in Tehran; all I knew then was that we were leaving our dog behind. It wasn’t until much later, probably after I’d had my own children, that I began to unpick the psychological impact that these traumatic moves and the frequent periods of instability and uncertainty had had on me. I have always been slow to make friends, and excessively needy and devoted to the ones I do make. And although I considered myself an adventurer in the mould of my parents, I had seized my now-husband like a life-raft when I was 15, and, as I eventually acknowledged, spent the next twenty years blaming our decidedly un-adventurous life on his caution rather than my own. At least, I told myself, I wasn’t afraid of change. I liked moving house, didn’t I? And we did that quite a bit, before we had children and schools to think about. My parents taught me that home is where you are loved, and a house is only a place where that happens. But the most important lesson my parents taught me was that the stuff doesn’t matter. Before leaving for a holiday or trip, I would lock away the photos and my grandmother’s rings in a metal box, then look around at everything else with satisfaction. This could all go up in flames while I’m gone, I’d think, and it wouldn’t matter. It’s just stuff. So, the bowl. It wouldn’t be true to say I’ve never bought an ornament before, but I’ve never bought one I cared about – not the way I cared about that beautiful glass bowl. And, looking at it on the mantel it occurred to me that I had accumulated a number of additional things which would have to go in that metal box. The souvenir masks from our holidays before we had the children. 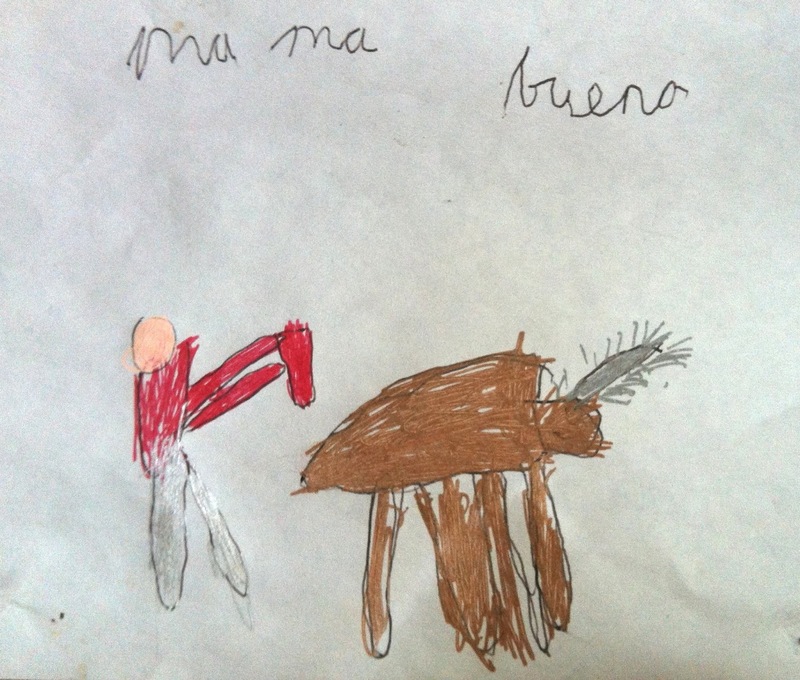 The drawing of me as a matador waving a tiny hanky at a giant stiff-legged cockroach. The sarong I got married in. The paintings my brother made at art college. Not many things, but definitely more. And I suddenly recognised the fearful fingernail that had tickled my neck. No, it wasn’t change I was afraid of – it was loss. I have been dodging attachment – not just to things, but to people, too. Unwrapping and setting out that ornament, for me, was like admitting an attachment to this place I have lived in for eleven years, this house which I have never really liked but have doggedly decorated and remodeled and snuggified until its shape more approximates mine. Making it more marketable, I told myself, because we’ll be moving on any day. The glass bowl stayed in its wrapping for two years because it was a hostage to fortune, and putting it out in the house, this beautiful thing, might make the house feel like home, and that would make home a hostage to fortune too. I have enough of those, has always been my feeling. My family, my husband, my beautiful boys; my three bestest girlfriends. And the recent agony of one loss from this circle has made me feel right to be wary of opening my heart to anyone else. But that glass bowl gives me so much simple pleasure, just the sight of it, setting off the fireplace so perfectly. I made the ornament/home leap without really being conscious of it, but stuff isn’t as dangerous as people. It doesn’t hurt so much to lose. One step at a time, then. I will try harder, to accept invitations, to offer them, to be warmer. To open my heart a little more. More importantly, I have said yes to getting a dog. This entry was posted in Musings and tagged attachment, change, fear, iran, kenya, loss, ornament, stuff, things. Bookmark the permalink. Story prompt: What if you could find everything you'd ever lost? 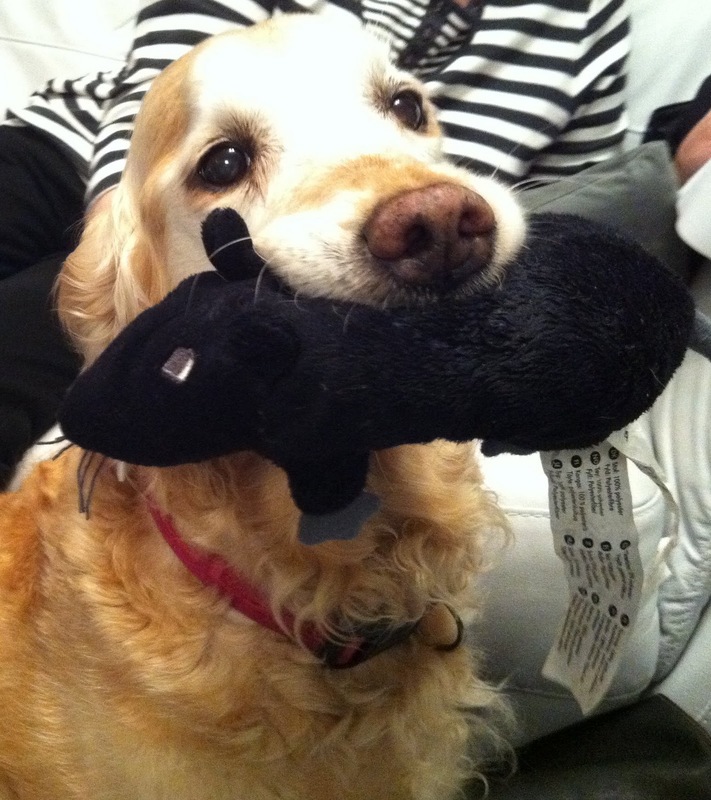 Toys, friends, innocence…Go! My dad made a smaller crate into a Wendy house in the garden for me, and I like to think that someone did something similar with our crate of stuff. I picture him sitting on my Dad's armchair, wearing Mum's kaftans and platform boots, surrounded by carved African animals and books. As for Charlie, the friends we left him with were newly married, so for him I wish lots more children to play with and many more years of cuddles and being ridden like a fat yellow donkey.